Sussex is a windy place, especially right on the coast. If a has blown over, we sometimes recommend adding unobtrusive comcrete spurs to the back of the repaired or replacement fence on any sections that take the full force of the wind. 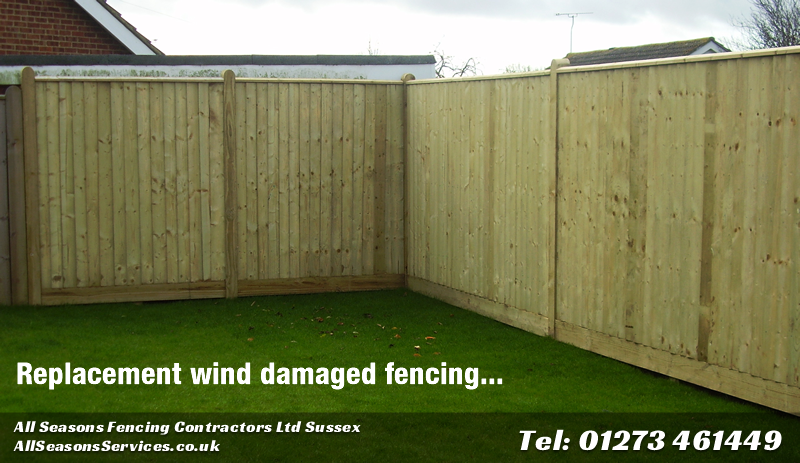 If your old fence blown down due to all the wind we're getting lately, give us a call and we'll nip round to give you all the advice you need and a no obligation repair or replace quote. Call 01273 461449 today.